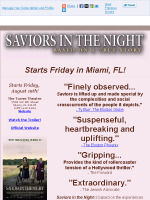 Gripping True Story "Saviors in the Night" - Starts Friday! "Anita" - Argentina's Beloved Film, Now Playing in South FL! 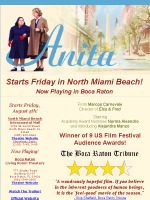 Acclaimed Heart-Warming Film "Anita" - Starts Friday Across South FL! 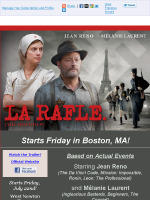 Acclaimed French Drama "La Rafle" (The Roundup) Starring Mélanie Laurent & Jean Reno - Starts Friday! Award-Winning Film "Anita" - Coming Soon to Miami! 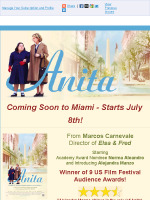 Touching, Inspirational Film "Anita" - Coming Soon to Miami!